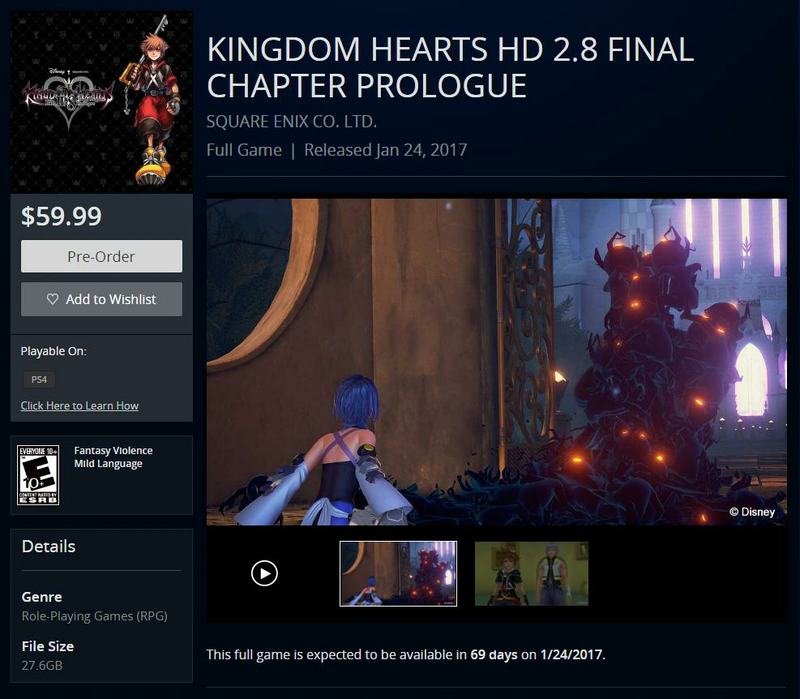 Preorders for KINGDOM HEARTS HD 2.8 ReMIX: Final Chapter Prologue are now live on the North American Playstation Store! Those who preorder the game here will receive an exclusive PSN theme. The full description is available below. The KINGDOM HEARTS HD 2.8 FINAL CHAPTER PROLOGUE digital edition includes an exclusive PSN℠ theme. KINGDOM HEARTS Dream Drop Distance HD is a full-HD remastered version of KINGDOM HEARTS 3D Dream Drop Distance, brought to PlayStation® for the first time. Sora and Riku take on the Mark of Mastery exam in preparation for their coming showdown with Master Xehanort. A new HD movie that tells the mysterious story of the Foretellers, connecting the earliest parts of the series’ history, showcased in the mobile title KINGDOM HEARTS Unchained χ. A completely new playable episode played from the perspective of Aqua from KINGDOM HEARTS Birth By Sleep that links to the story of KINGDOM HEARTS III. Play on 01-24-2017, Midnight Pacific Time. 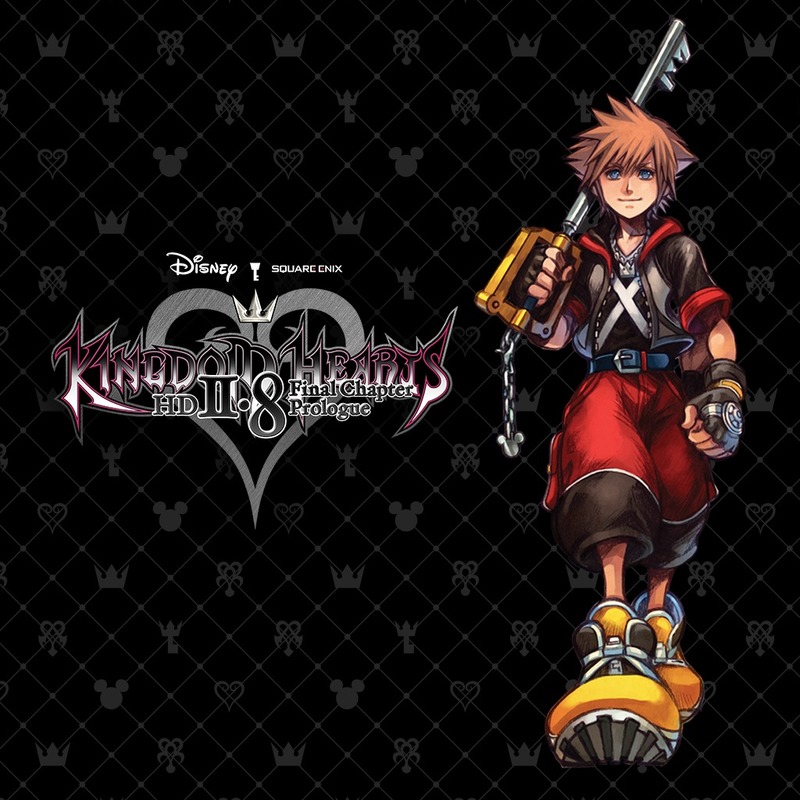 KINGDOM HEARTS Dream Drop Distance HD: A full-HD remaster. Sora and Riku take on the Mark of Mastery exam in preparation for their coming showdown with Master Xehanort. KINGDOM HEARTS 0.2 Birth by Sleep – A fragmentary passage – : A brand new episode that links to KINGDOM HEARTS III. Now do EU and we're good SE. I usually don't do digital (except for PC) but it's nice to have the option. I'm pretty excited about this. I'm going to do the digital pre-order as soon as I can. I'm really looking forward to not having to wait to get my physical copy to play the game. Ugh, okay, I still don't get why you think there won't be a new DB for this one (even with the ROH-Remix), but to each their own I guess. Why can't they both have a new Dearly Beloved? That definitely needs to be fixed. Maybe it's foreshadowing. They'll share the Paopu fruit in an extra scene at the end of 3D, therefore Riku will always be a part of Sora. Or someone didn't do their job. Yikes that's pretty bad lol.